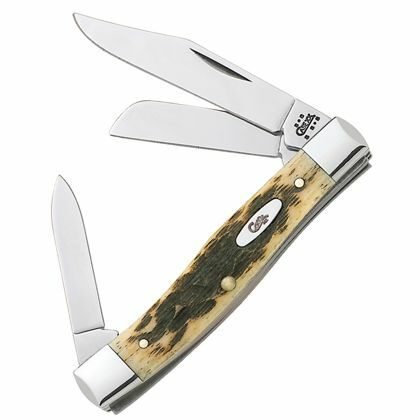 Case Knives USA, Medium Stockman CA079, 3 blade folding pocket knife, hand made in USA. 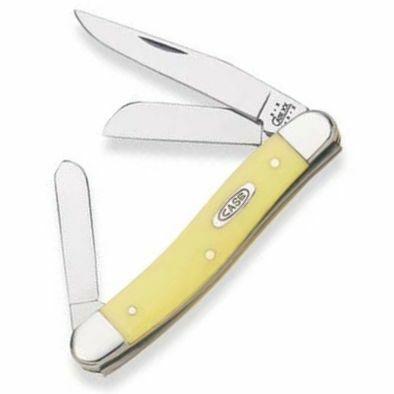 Measures 9 cm (3.5 inches) closed, chrome vanadium steel, 7cm (2.8 inch) clip blade, 5 cm (2 inch), sheep foot and spey blades. Jigged amber bone handle scales, nickel silvers bolsters, brass handle liners. Traditional livestock farmer's knife, also ideal as an every day carry pocket knife, suitable for whittling, wood carving, model making etc.